Come on down and check out this beast of Polish engineering. Angle your tank and enjoy 10 degrees of gun depression on the side so you can look down at your enemy. I feel like I said this before, but with way more information on how to play the Tank. Starting at 47.99, you too can put your enemy in a pickle sammich with this tier 8 with 122mm gun. Where is the crew training/ skill reset discount? Both EU and ASIA have it this weekend while the most recent one in NA was in Jan.
Edited by Obj_279, Aug 10 2018 - 17:54. He makes a good point here! Until you fix the 3-5-7 MM I wont spend another dime. T8 is not worth playing at all. 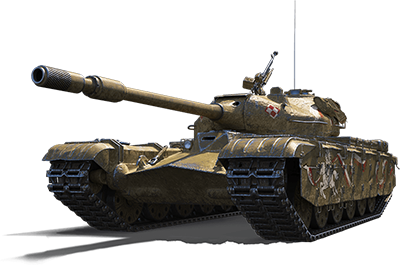 I have 23 T8 premiums that I just can't play 19 out of 20 on the bottom...and I have 86 premium tanks (5 preferential 8's that I spent over $250 on) and I can't play any of them above T5. WG give me my money back or un-nerf the preferential 8's to what they were on release. Edited by Redwing6, Aug 11 2018 - 01:21.